Student achievement data discussion: Students and teachers review data from pretests and posttests, discussing areas of success and growth. When students have learning gaps, teachers utilize the opportunity to reteach or review the content or adjust the student’s personalized Learner Pathway to address the gap. Student demonstrating mastery: Students have the opportunity to demonstrate and prove mastery in conferences, especially if they are unable or choose not to demonstrate mastery in other ways. Support student progress in Learner Pathways: In Locust Grove’s model, much of a student’s learning is achieved through independent learning via Learner Pathways. Teachers utilize conferences to monitor student progress, giving additional supports to students who are struggling to make adequate progress. Locust Grove’s Learner Pathways also include checkpoints, which require students to check in with teachers and demonstrate mastery before moving ahead. Set personal goals in Advisory: During Advisory, teachers conference with students to discuss personal interests and set both academic and personal goals. Increase supports for diverse learners: Teachers intentionally conference with diverse learners frequently – at least once per week – to ensure students are getting all the support they need to be successful. Teachers utilize technology tools (such as Google Classroom) to monitor student progress and make comments, allowing for additional dialogue outside of their 1:1 conversations. Demonstrates mastery through assessment data or discussions. Shares progress in Learner Pathways. Discusses personal and academic goals. Responds to teachers’ online comments. Prepares student data and coaches students to analyze and set goals. 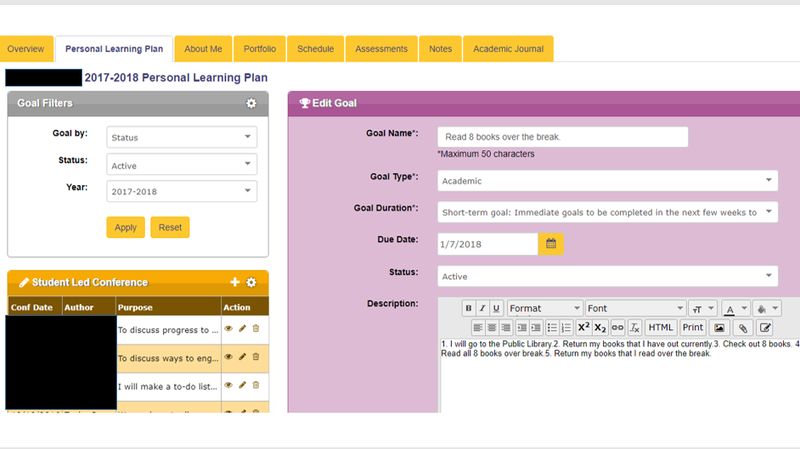 Supports students in setting personal and academic goals. Adjusts Learner Pathways based on individual student needs. 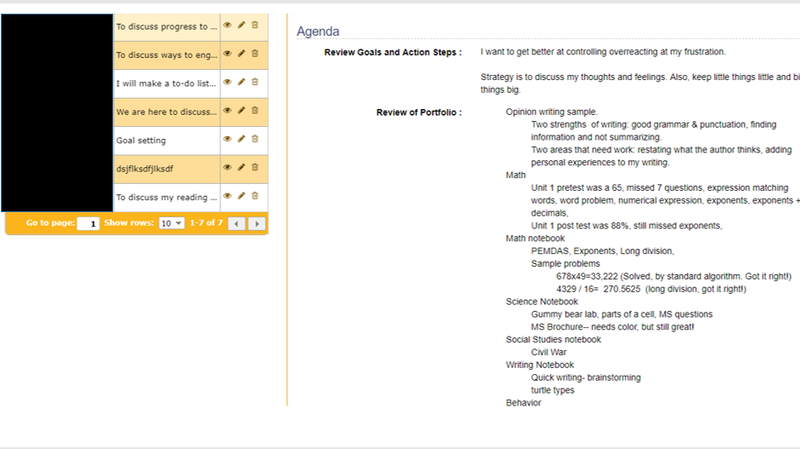 Reviews online progress in Learner Pathways, adding comments and questions as needed. Supports dialogue via comments in Google Classroom outside of 1:1 in-person conversations.